And what the hell did that mean? I asked myself. I was too polite to ask her. I didn’t want a result. I wanted my son. In everything I’d ever thought and written I’d battled against the normal, and here I was, paying good money to have someone mutter gravely that if we played our cards right and poured time and tears into our new Project (previously known as Tom), he might turn out to be the same as everyone else. Professional psycho-surgeons might be able to cut out, like a cancer caught early, that which makes Tom Tom. ‘We’ll do whatever’s necessary’, said my wife. ‘Will we, indeed?’ I wondered. And I still do. Tom’s not great at reading. He prefers to talk, draw, hunt for stag beetles and Roman arrowheads, track badgers and fight with his siblings. I get occasional glimpses through his eyes, and I’m awestruck. The awe’s not just an artefact of paternal love, or a romantic pre-lapsarian view of childhood. There’s something extraordinary going on. He lives a poem that I can only stutter. He, somehow, grabs the whole of things: his grammar is context. I’m a nerd: my grammar is grammar. I have five non-dyslexic children, and therefore five controls. So what I’m describing isn’t just childhood: it’s something intimately to do with Tom’s dyslexia. But can we have both? I’m not so sure. I know that I’ve tried, and that I’ve failed. When I see a tree, it’s clothed with other peoples’ written descriptions of trees. The tree itself is more or less invisible. But not for Tom. There’s nothing vicarious about his world. He sees for himself, and seems to see far more of the real tree than I do. Not for him the neat, prescriptive relationship between word and reality that defines and suffocates me and the world into which we’re trying to force him. Because he sees for himself he is himself in a way that I’ve never been myself. Of course language is important to him. He’s a highly verbal boy, and he’s a very human boy. Language is central to what it is to be human. When Homo first became sapiens, she spoke. Language both facilitates and connotes relationship: between person and person, person and thing, and thing and thing. The relationship between a leaf and a water droplet can exist, at least in part, because it can be described. And without relationship we’re nothing. Language is the key to the dazzling nexus of relationships that we call the World; a nexus in which we exist, if we exist at all, and of which we consist, if we thrive at all. So I don’t want Tom to be an alingual dreamer. You need your Broca’s area to dream exhilaratingly. But writing? As a writer, I’m really not sure about writing. Isn’t writing about control? About taming the universe? About reducing it to chewable chunks? Isn’t it, in short, about making the world something that it is not; and, importantly, making it much, much less than it is? About making it, narcissistically and bloody boringly, in our own image. Books smell of dust, which is what we’re made of. A book about the sea smells of dust. The sea smells of itself. Most of us smell the sea through the sea-books that we know. That’s a shame. 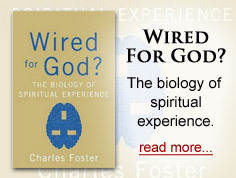 And it gives you debilitating spiritual asthma. Writing, on balance, does nasty things. God, for instance, only turns malignant when he or she is squeezed between the pages of a book and his/her anatomy described in chapter and verse numbers. It’s not surprisingly that someone constricted so uncomfortably gets grumpy and dogmatic. Where does this leave Tom? Well, in a world that knew the real value of stuff, at a massive advantage. But the cold, shrill voice of reality (a.k.a. that of my wife) cuts in: he’s got to earn, hasn’t he? He’s got to play the game. What’s the point of being a gilded visionary with an unrivalled facility for holistic appropriation of the essence of things if you can’t read or pay your gas bill? Don’t sacrifice the poor lad on the altar of your own romantic conceits. He’s not a prophet, for goodness’ sake: he’s a snotty-nosed boy with a bit of unfortunate neuronal mis-wiring and, unless we do something about it pretty damn quick, a terribly troubled future. In your doting, you’re seeing a neurological disadvantage as a triumph: that’s understandable, but perverted. There are many answers to these points, most of them rude, and all of them regularly delivered at high volume. But here’s the most moderate. If we can legislatively and in other ways craft (and we can) a society that accommodates and even celebrates disability, is it really so fanciful to think that we can learn to deal with and support ability too? It’s not fanciful, but it is ambitious. Someone with paraplegia doesn’t present a threat to our society’s presumptions. Nobody pretends that paraplegia is a good thing. It’s easy to measure the difference between undesirable paraplegia and desirable normal legs, and therefore easy, at least in principle, to work out what to do to narrow the gap. But, more importantly, an aspirational paraplegic pleases us. It’s flattering when someone tries hard to be more like us. That’s an unpalatable submission. It’s particularly unpalatable to a reductionist society that defines cognitive worth in terms of ability to jump through hoops visible only to the left brain’s mean and narrow eye. (He’d have a much happier reception in India. Or Glastonbury. Or any pub session where they were playing old tunes on fiddles and whistles. Or any campfire anywhere). And so it might be tactically necessary, in the short term, to present Tom’s case as one of disability – while keeping quiet about what it really is. And then hope that the world will eventually wake up, and learn what it has to learn from the Toms. Other disability lobbyists have shown the way. Congenital cognitive ‘compromise’ isn’t like paraplegia. The people who have it, and the people who know them, challenge the validity of the usual markers of worth. Sure, X might have a thinner than average cerebral cortex, but cortical width isn’t the measure of man. To be cortically slim isn’t to be less human, but to be differently human. And anyone who is different from us is a valuable teacher. This sort of talk is sometimes mocked as political correctness. But mockery isn’t argument. It’s an acknowledgment of the absence of a contrary argument. So: at the moment, ‘different’ will have to be the label. 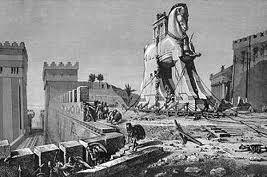 It can be the Trojan Horse that allows Tom to steal into the citadel. May he soon seize it. It’d be a happier and more interesting place if he did. He helped pioneer early work on visual stress. Not all those with dyslexia have it, but for those who do, his ‘treatment’ is akin to opening the door to the world of ‘Spare Oom’ (Narnia!) and can radically improve reading difficulty – although the reasons why it works continue to be debated. He worked with my father in the 80’s and 90’s in Oxford and comes highly recommended. I am also sure that he will see young Tom, especially if you tell him that you were pointed in his direction by me, via my father, Professor Adrian Hill. Not being able to read easily, or at pace, is no longer the barrier it once was. Invest in good speech recognition software and text to speech software and he will soon be the envy of his class mates and speeding ahead with reading. On a separate note, Lydia and I are chuckling to ourselves at our very poor research of our barrister – Lydia has read many of your books, especially as they formed part of her medical legal course! Thank you again for your time, it proved invaluable. Now to find you on twitter…. With time, support and your unfailing love, Tom will find a balance and he will succeed. His life is full of rich experiences. All will be well. ypes. As it exists, it is geared up to spout out fact favouring process monkeys. Anyone who operates on more of an intuitive feeling basis will feel at odds with most of the western world. I wonder if Tom might be an infj like me ? It helped me a lot when I discovered Mbti. You’re spot on about India (Iceland could be good too) and the pubs with men who’s beards are so encrusted with ale that they’ve dispensed with the violin and can play their beards instead. With your love and clear determination,Tom can get through his early years (home schooling? ), he’ll find he’s with kindred spirits at university, where they ability to interpret a set of facts , connecting an array of events and symbols, will be like second nature. Good luck in helping Tom navigate through this world. Maybe a helpful computer virus or two, or technological advances will end the reign of the grey suits? Next post: Who were the Israelites?